A datum is a reference system from which measurements are made. When I state my height as (an optimistic) 5’11”, most will assume the distance is from where I’m standing to the top of my head - the floor is the datum. 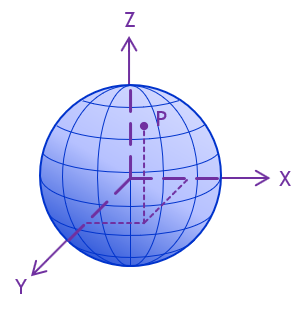 In surveying, we typically use either a flat two dimensional (plane) or three-dimensional (spheroid or ellipsoid) datum, Figure C-1, depending on the type of surveying. While there are many different surveying activities and applications, traditionally all fall into one of two classifications based on the underlying reference system: Plane Surveying and Geodetic Surveying. While traditionally cut-and-dried, the distinction between these classifications has become very fuzzy due to rapidly evolving technology. Despite this, starting with the classifications give us a framework on which to build. As we look at various concepts we will indicate distinctions between classifications as necessary.